Whenever we visit family in England we always make time for ourselves to have a ‘day out’. 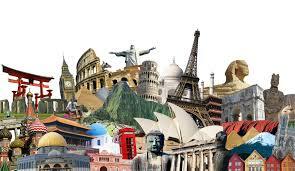 These little days out always provide us with wonderful surprises and looks into the history of the country. This year we decided to visit Llangollen in North Wales. We typically pick a destination, but not a specific route, which allows us to be somewhat spontaneous in where we stop along the way. That day our route took us from near Manchester (M56) past Chester where we ended up on the A548 along the coast towards Colwyn Bay and Conwy. Along the coast road lies the town of Flint, Flintshire, Wales. 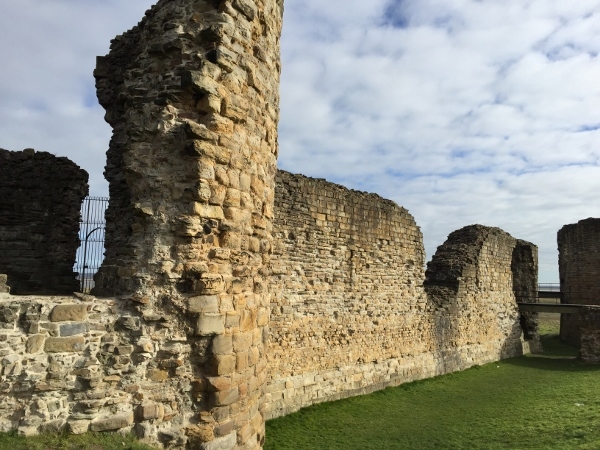 Noticing one of the UK’s brown tourist information signs, our first stop of the day was at Flint Castle. 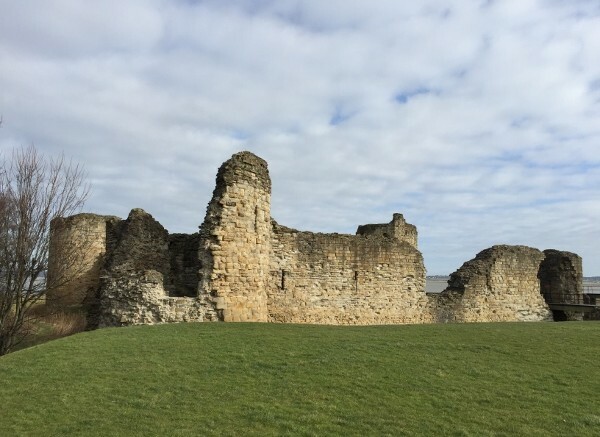 With a few turns off the main road and a quick ride through an industrial estate, we found ourselves at the carpark with the castle itself only about a 100 meter walk up a footpath. The Welsh have always been a highly independent people and Llewelyn ap Gruffydd, one of the last Welsh Princes, refused to swear his allegiance to Edward I. By 1277, King Edward had reached the end of his patience and began the task of building castles to encircle the country of Wales to control the Welsh. 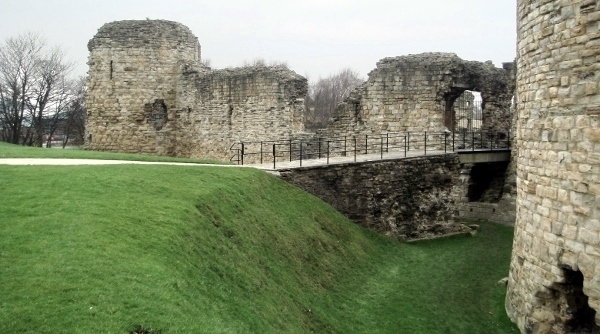 One of the first castles to be built was Flint Castle. 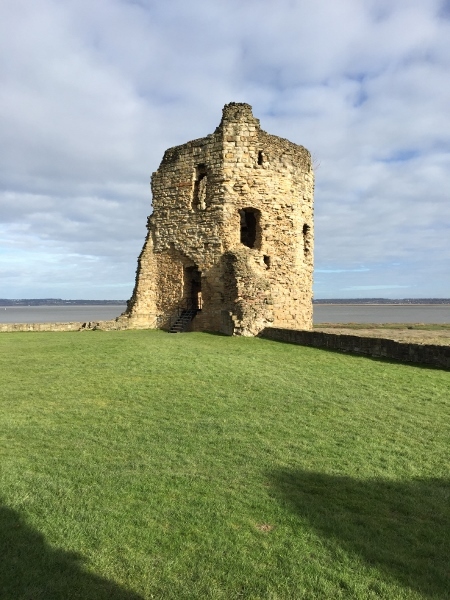 Located on a rock outcropping on the River Dee, it stands defiantly across the estuary from England. 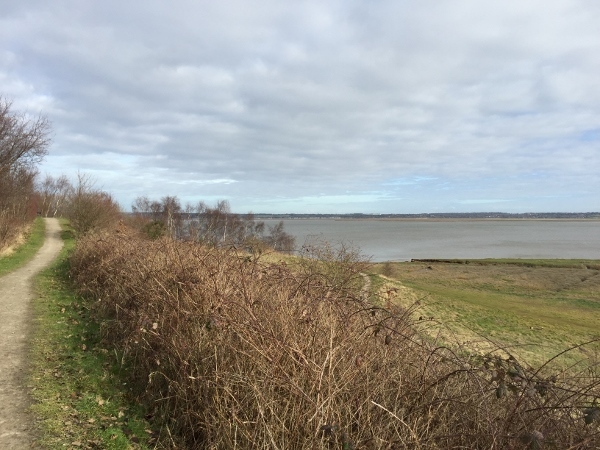 Only a day’s march from the City of Chester, the location allowed troops and supplies to easily cross at low tide. The construction of the castle was not completed until 1294, yet the fortress still managed to withstand an attack by Dafydd ap Gruffydd, brother to Llewelyn, in 1284. Davydd ap Gruffydd has the somewhat dubious honor of being the first nobleman to be hung, drawn and quartered. Although in a state of disrepair today, much of the skeleton remains just as it was in the 13th century. It is quite easy to imagine what a magnificent structure this was at the time of its building. 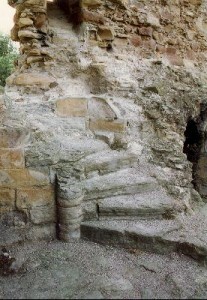 Throughout the castle area it is possible to find the remains of spiral staircases, windows, and arrow slit embrasures. 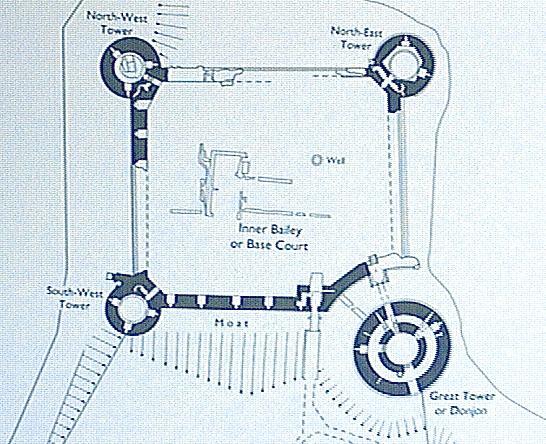 The castle area was basically square in its design, with three round towers on the corners and an offset large donjon (below ground keep) on the fourth corner away from the river. Its chosen location on the River Dee allowed an extra level of protection in addition to the moat. 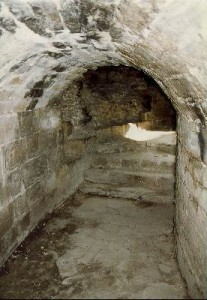 At one time, entry into the castle was by drawbridge. 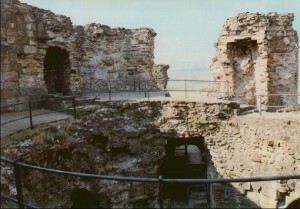 Connecting the towers, it is still possible to see the remains of the curtain wall. The walls of the castle itself were as much as twenty three feet thick at the base. 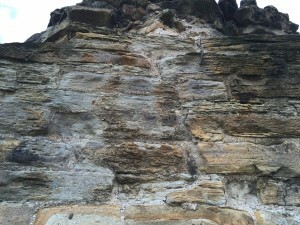 The castle and walls were constructed of locally quarried sandstone and gritstone with ten thousand stones being ferried from a quarry near Shotwick across the River Dee. Each of the stones was carefully crafted and laid by local stonemasons and over 43 masons marks can be found on the stones. 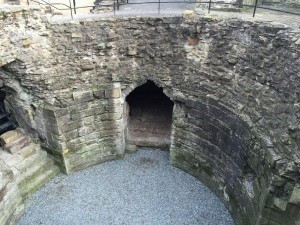 Edward even brought in masons from London who specialized in certain techniques, such as curved walls or spiral staircases. 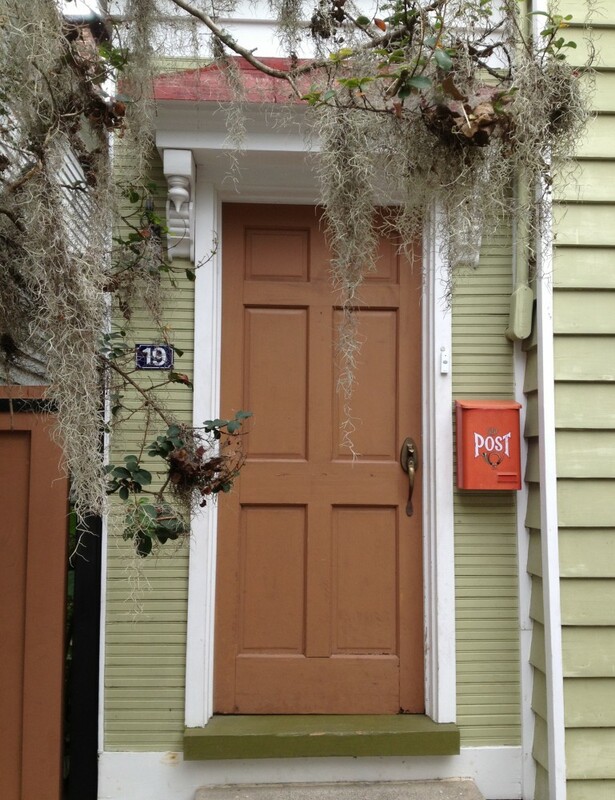 I love finding and visiting sites like this. To be able to ‘walk where kings once walked’, to get a feel of what life may have been like eight centuries ago, to touch and feel the handicraft of men long dead – it makes me eternally grateful that the people of England, Wales, and Scotland revere their history so much. I am always grateful to those who work to preserve it. 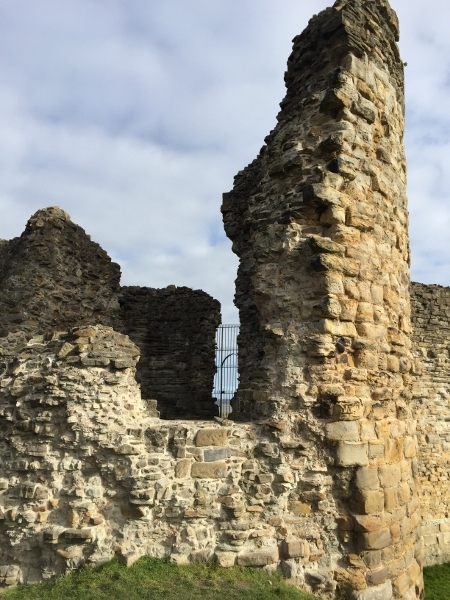 Link to more information about Flint Castle. 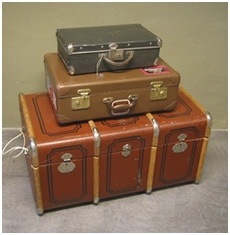 Be the first to comment on "A Day out in Wales"